Kathie Lee Gifford is a television host, singer, songwriter, comedian, and actress. After seeing the Billy Graham-produced film The Restless Ones at age 12, Kathie Lee became a born-again Christian. She attended Oral Roberts University, studying drama and music. She began her career as a Christian entertainer, and is best known for her Emmy Award-winning 15-year run with 'Live! with Regis and Kathie Lee.' Currently, she co-hosts 'The Kathie Lee and Hoda Show' on NBC Today. Do you want to deepen your faith? 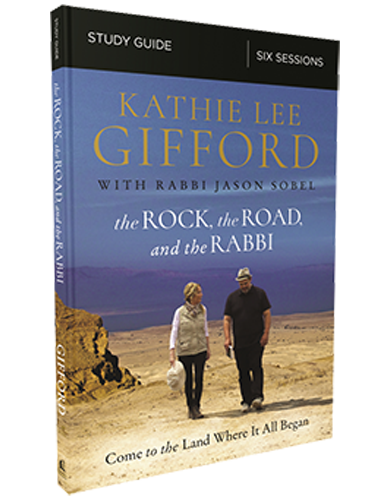 Join Kathie Lee as she visits sites in Israel that have impacted her life. Coauthor Rabbi Jason Sobel, a messianic Jewish rabbi, provides insight into the Hebrew language, culture, and heritage that will open your eyes to see the Bible like never before.